Aaron R. Sims is an associate in the firm’s Corporate Group. 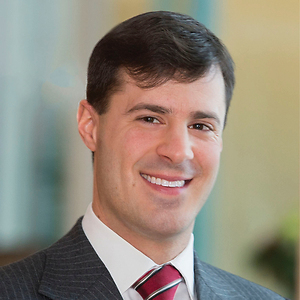 He focuses his practice primarily on corporate and commercial litigation in the Delaware Court of Chancery. Aaron also has experience litigating appeals in the Delaware Supreme Court. He has represented and counseled corporate and business clients in stockholder class and derivative actions, breach of fiduciary duty litigation, actions involving breach of contract, contests for corporate control, books and records demands, stock appraisal litigation, and expedited litigation involving applications for preliminary injunctions and temporary restraining orders. In addition, Aaron has assisted companies with special investigations of alleged improper conduct in response to stockholder pre-suit demands. Aaron is a member of the firm’s Recruiting Committee. He also has an active pro bono practice, serving as a Guardian ad Litem with Delaware’s Office of the Child Advocate. Gilead Sciences, Inc. in litigation relating to an alleged breach of contract arising out of Gilead’s acquisition of Calistoga Pharmaceuticals, Inc.
Directors and officers of Ambry Genetics Corporation in expedited litigation brought by a stockholder seeking to preliminarily enjoin Ambry’s acquisition by Konica Minolta, Inc.
Kite Pharma, Inc. in stock appraisal litigation arising out of Kite’s acquisition by Gilead Sciences, Inc.
Directors and officers of Occam Networks, Inc. in a suit by stockholders alleging breach of fiduciary duty in connection with Occam’s acquisition by Calix Inc.